Choosing a new mattress is an important decision that will impact the quality of your sleep over the next few years. Most brands claim to have a product that is different from other mattresses. Purple is a brand that offers an interesting product thanks to its polymer comfort grid. Here is what you need to know about Purple mattresses. What Makes Purple Mattresses Unique? How Do These Mattresses Compare To Other Options? Purple is a small brand that offers a limited but well-organized product line. The mattresses offered by this brand use a unique polymer material that you won’t find anywhere else and that sets the brand apart. This brand isn’t carried in mattress stores. You can order Purple mattresses on the official website of the brand or shop for these products on Amazon and similar sites. Purple offers two lines of mattresses. The first line is the original design the brand launched a few years ago to introduce its unique polymer comfort grid. The second line is a redesigned of the original mattress. This line includes different mattresses with varying thickness. This is an interesting addition to the product selection since the original mattress didn’t feature these options. The stretch cover makes the mattress cool and breathable. The smart comfort grid provides gentle support and eliminates pressure. The comfort foam layer makes the mattress more durable and provides additional support. The 7.5-inch high coil layer relieves pressure. There is an additional layer of foam for comfort. The mattress is protected by breathable side panels made from a mesh-based material. This feature improves airflow and keeps the mattress cool. The side panels also preserve the structure of the mattress and make it more durable. Purple mattress reviews also mention that the products are made from hypoallergenic and non-toxic materials. This is worth mentioning since mattresses can turn into breeding grounds for allergens like dust mites. You can choose from three different mattresses, the Purple 2, 3, or 4. The number corresponds to the thickness of the polymer comfort grid in inches. A Purple 2 mattress is firm, a Purple 3 is medium, and a Purple 4 is ideal if you want a soft mattress. The original Purple mattress features the same polymer comfort grid you will find in the newer mattresses. However, this mattress has a knit cover instead of a stretch cover. There is another major difference. The coil layer is missing and is replaced by an additional layer of foam. The original Purple mattress has two layers of comfort foam at its base. This is a medium mattress. The coils help make the new mattresses more durable, but sleeping on two layers of comfort foam is a better option if you want a foam mattress rather than a hybrid mattress. The comfort grid is the feature that stands out the most. We didn’t find any other brands that use a grid structure inside of their mattresses. The polymer material is an ideal choice to relieve pressure and absorb movements. The grid means that these mattresses have a unique feel to them. It might take a while to get used to sleeping on one of these mattresses, but we think there are many advantages associated with this design if you want a mattress that relieves pressure. Using a polymer grid is an interesting approach because this structure keeps the mattress cool and breathable. The downside of memory foam mattresses is that they are not made for hot sleepers. If you don’t like memory foam for this reason, a Purple mattress is an alternative worth considering. The polymer is also more durable than memory foam, which makes the mattresses an excellent investment. The grid seems to absorb movements more efficiently than memory foam as well. Overall, Purple mattresses stand out because of their design. The different layers are carefully selected and assembled to serve different purposes. The mattresses feature an ideal combination of support and comfort. We think these mattresses are suitable for different sleeping positions and would be perfect if you want a mattress that relieves pressure and keeps your spine aligned. We also like the fact that the brand offers different mattresses to choose from. You can opt for a mattress with coils or choose a foam mattress and compare different thickness and firmness options. You should also know that the brand offers a 10-year warranty on its product. If you buy a mattress on the official Purple website, you will benefit from a 100-days return policy in case you don’t like the mattress. A Purple 2 mattress ranges from $1,300 for a Twin XL to $1,900 for a California King mattress. A Purple 3 mattress ranges from $1,900 to $2,700. You will have to spend between $2,500 and $3,500 for a Purple 4 mattress. If you want the original model without the coil layer, you will have to spend between $700 and $1,300. Note that the Purple website offers financing options if you want to make monthly payments on your new mattress. 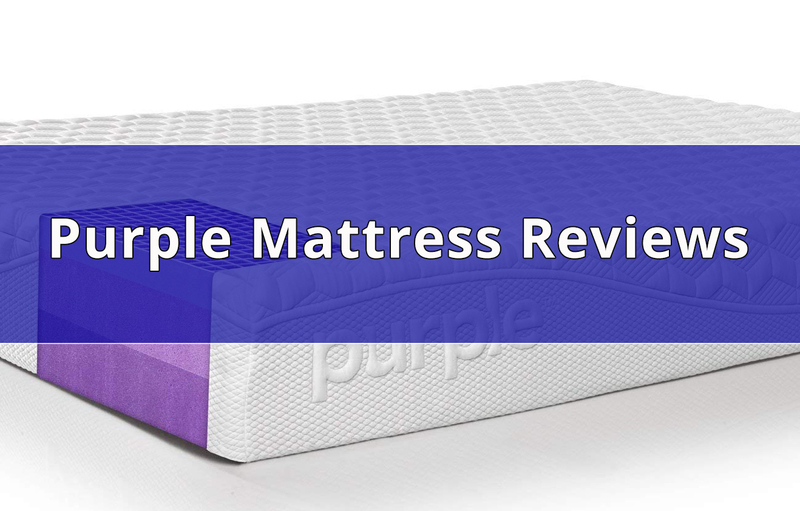 Overall, Purple mattress reviews are positive, and most shoppers are very satisfied with their purchase. The original mattress has received a rating of 4.1 out of 5 stars on Amazon. Finding reviews for the new mattresses is more difficult since they are only sold on the official site of the brand. 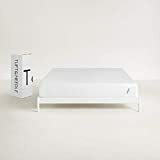 However, mattress buying guides consider these mattresses to be an interesting choice because of the polymer comfort grid and the overall quality of the products. The original mattress has received many positive reviews from shoppers. People think the mattress is supportive and comfortable. Shoppers say they love sleeping on the mattress. They fall asleep fast and wake up feeling refreshed. The mattress does a great job of reducing pressure for the back, shoulders, and hips. The pressure relief feature is mentioned in reviews written by people who suffer from back pain and other health problems. The mattress makes a difference for these people. Reviews also talk about the mattress being durable. The drawback that is most often mentioned in reviews is that the mattress is too firm. Note that the original Purple mattress is a medium mattress. A soft mattress might be a better option for you, but you could also upgrade the original Purple mattress with a soft cover. People say that it might not activate the comfort grid and benefit from the pressure relief aspect of the mattress if you are lightweight and sleep on your side. The mattress might feel firm if you are too light to sink into the cover and activate the comfort grid. The price of the mattress is another drawback that is mentioned in some reviews. However, most Purple mattress reviews state that the products are a durable investment and have improved the lives of those who purchased them. It is important to shop around if you want to purchase a new mattress. Here are a few alternatives to consider. This is a mattress you should consider if you want a product that relieves pressure. Tuft & Needle uses a different technology to relieve pressure points. Tuft & Needle mattresses are made from adaptive foam. This material will support you and relieve pressure regardless of how you sleep. The high-quality foam allows air to circulate. The mattresses also absorb movements so you won’t feel your partner moving. You will get a 10-year warranty with one of these mattresses and can also choose to return it within the first 100 days. Tuft & Needle uses a simple design for its mattresses. The mattresses feature a layer of supportive foam, a layer of adaptive foam, and a comfortable woven cover. 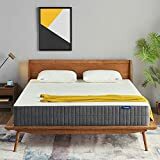 This product has a rating of 4.2 out of 5 stars on Amazon, and more than 6,000 shoppers have reviewed and rated the mattress. People say they love how supportive and bouncy the mattress is. Reviews also mention that the mattress stays cool and does a great job of absorbing movements. This mattress is somewhere between soft and medium. You won’t be able to choose between different levels of firmness and thickness like with the new Purple mattresses. A Tuft & Needle mattress is an option you should consider if the Purple mattresses are outside of your budget range. You can get one of these mattresses for $375 to $700 depending on the size you want. This is a gel memory foam mattress with an interesting feature. The mattress is designed so that you can flip it and use both sides depending on the experience you want. The top side of the mattress features a soft plush cover. You can flip the mattress if you would rather sleep on a medium firm surface. The gel-infused memory foam is an interesting material if you want pressure relief. This material will adapt to your weight and temperature. The mattress uses a quality comfort foam layer and another high-density foam layer for additional support. The two foam layers help with alignment when you sleep. A gel-infused mattress is an option you should look into if you are a hot sleeper. This material will keep you cool throughout the night while other materials are temperature neutral. A Sweetnight mattress is also a great option if you are on a budget since you can get a queen-size mattress for $440. We think a Purple mattress might be more durable, but a Sweetnight mattress could still be a great choice if you are on a budget and want a cool mattress that will relieve pressure. This product has received a rating of 4.4 out of 5 stars on Amazon, and people say they love the soft feel and the cooling effect. 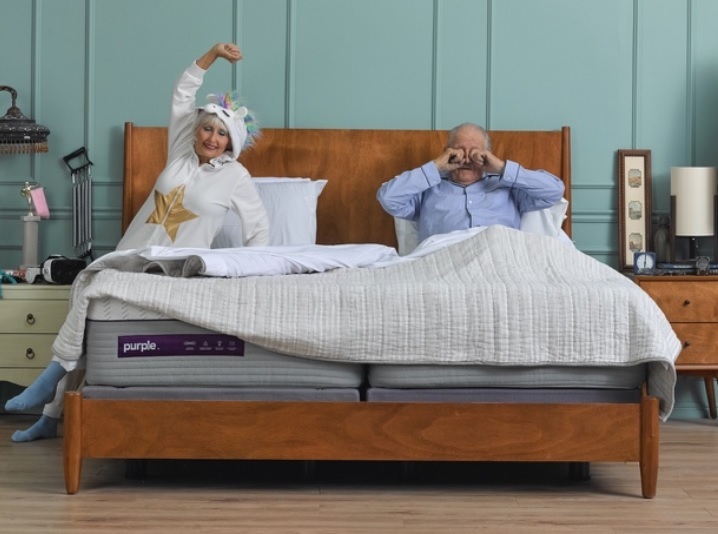 Purple uses a unique technology for its mattresses. The polymer comfort grid could make a real difference if you are looking for a high-quality mattress that relieves pressure and absorbs movements. This is an interesting approach to pressure relief since it keeps the mattress cool and breathable, unlike memory foam. You won’t get the feeling that you are sinking into the mattress, which is one of the downsides of sleeping on a memory foam mattress. Purple mattresses are ideal for many types of sleepers. However, it is possible that you won’t get the benefits of the comfort grid if you are a lightweight sleep and sleeps on your side since you might not activate the grid. 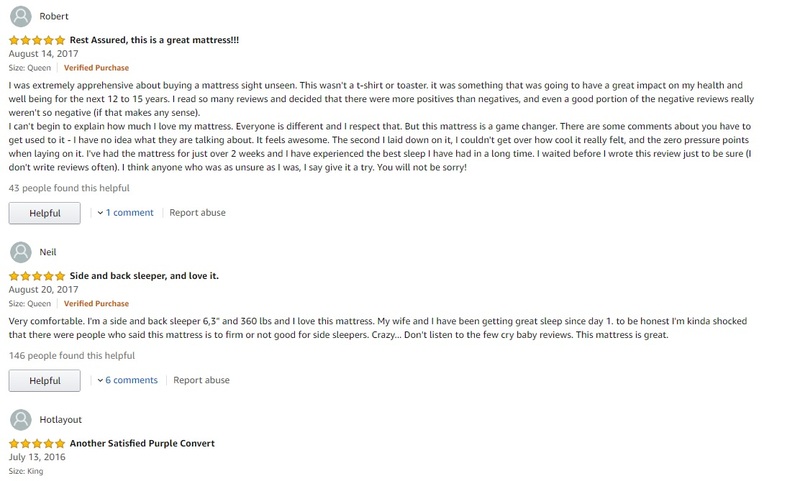 Overall, Purple mattress reviews are positive, and we think this positive reputation is entirely deserved. We recommend that you compare the different designs and thickness options. The original mattress is more affordable, but a Purple 3 or 4 mattress would be a better choice if you want more comfort. The downside of this brand is that mattress stores don’t carry it. This means you can’t experience what the comfort grid feels like until you purchase a mattress and have it delivered. The 100-day return policy is a positive point, and the brand has a positive reputation for handling returns. There are other options to consider such as gel-infused memory foam, or a memory foam mattress if you are looking for pressure relief. You can easily try these mattresses in local stores to see what they feel like and decide whether or not these materials are suitable for your needs. Purple is an interesting brand if you are looking for a pressure relief mattress. The polymer comfort grid used in these mattresses is unique and helps absorb movements and relieves pressure while keeping the mattress cool and breathable. We recommend these mattresses if you are looking for a durable and comfortable product.